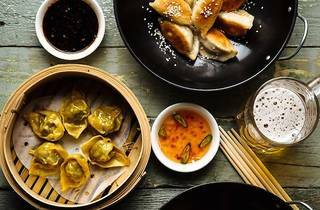 Melbourne restaurateur David Zhou explores pan-Asian cuisine in Monkey King, a bar and eatery named after the legendary character from the sixteenth century Chinese novel Journey to the West. Monkey King's drinks list feature a range of sakes, Japanese craft beers and brews on tap served in teapots instead of jugs. 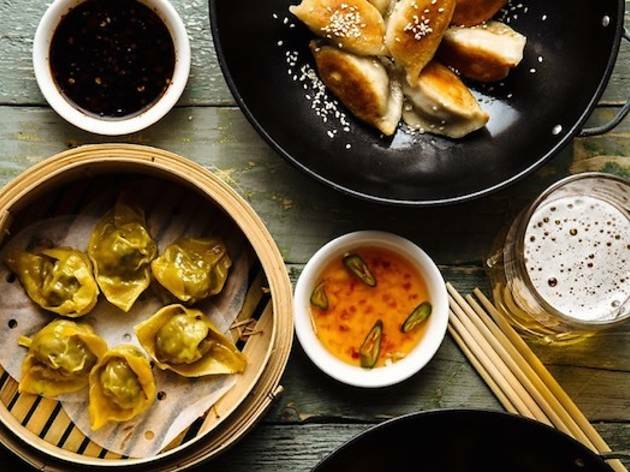 The food menu ventures beyond bar snacks and into full feast territory with pan-Asian flavours spanning Vietnamese rice noodle salads to dim sums and sticky ribs, making Monkey Magic an ideal spot for late night drinks and nibbles. Zhou is known for his restaurant empire which includes dumpling house The Oriental Teahouse,Chinese dining room David’s and bar Zhou Zhou.